℗ & © 2009 Universal Music Classics & Jazz, a division of Universal Music GmbH. Stralauer Allee 1, 10245 Berlin. Made in the E.U. Skip the FK mix and head straight for Moritz Von Oswald's Development Mix. The manipulated string and woodwind samples, the bongos, the metallic synth stabs, the Quadrant Dub-era synth pads, and the constant mix and fx manipulation make this a 13+ minute sonic trip, transcending, revising, and moving forward the Basic Channel territory/sound palette. 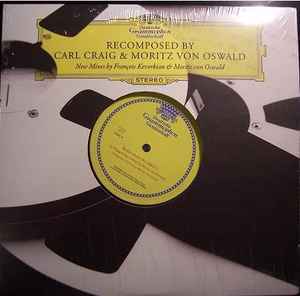 Had Moritz made the ReComposed album to sound more like this remix, 2008 would be hailed as the year Basic Channel released a new album.